Planet Hollywood. We are deeply proud of Jin Jin and her great team of supporters. Divas learn how to brand themselves in the industry. and every business! By Susan Diane Howell, MBA. Susan Diane Howell, Master Coach. Whether you are a serious music performer or just love to sing for pleasure, Academy Of Diva Arts offers a range of services to enhance your vocal talent and commercial edge. Based in Las Vegas, Nevada, with an extension studio in Hollywood, California, we provide vocal coaching for singers just starting out to professional artists, as well as music career development. Lead by a vocal technique specialist with more than 30 years experience, our vocal program helps singers empower their craft and build effective vocal habits. We emphasize a solid vocal technique, personal development, and career direction. In addition to platinum vocal lessons, Academy Of Diva Arts helps navigate your artistic dreams with practical goal planning, professional referrals, and career building showcases and tours. To TEACH singers a broad range of vocal techniques, ideas and philosophies of singing that establish world class understanding beyond the scope of a regional artistic climate. To INSPIRE singers to establish artistic and professional priorities, focus their energies and shift their consciousness toward bold goals and esteemed expectations. To ENCOURAGE musical artists to become self-reliant in the business of entertainment. To PREPARE singers in the all disciplines of entertainment business: Marketing, Finance, Business Law, Branding, Product and Service Development, Public Relations and Leadership. To FOSTER the professional and spiritual growth of musical artists by the strengthening of individualized core character. To DEVELOP a personalized vocal and career identity for the singer, each as unique as the individual and without comparison to the strengths and weaknesses of other singers. To OPEN access to the professional world with mainstage performance opportunities, access to agencies, producer referrals and global outreach. We ask prospective students to tell us a little bit about themselves to get to know them better. Feel free to review our site to learn more about us, and fill out the New Student form so that we can discuss one-on-one what we do for our students. Diva Tours – Domestic U.S. and International events. Join us abroad for industry conventions, touring talent showcases and master seminars. Find out what our clients have to say about the Academy of Diva Arts. Absolutely amazing. Susan was accommodating, understanding, and incredibly knowledgeable. As a total beginner with a huge task ahead of me I walked into the lesson terrified and left with great confidence. Ultimately that's all I could ask for. I'm so happy I met Susan and I will continue to work with her. It's worth every penny. The absolute best experience I have ever had with a teacher. Susan is knowledgeable, professional and kind. I look forward to every lesson. Susan is fantastic. Her approach to teaching is holistic in that she covers all aspects of voice training and singing. I am a total beginner and with just four classes I have made real progress because she covers so much material and makes it so accessible. Beyond her in-person classes, she provides a great range of additional materials so that learning can be accelerated between sessions. She's terrific! Purchased 4 lessons before a singing gig. Susan gave me more than I expected. She knows what she is doing and really puts a lot of effort in to her students needs. She has kept up with current vocal teachings/skills to share with her students. Excellent. Looking forward to my next 2 lessons. Thank you Susan, you "Rock!" Looking forward to the future with Susan! Wow! First lesson changed my life. Susan put me at ease and her knowledge and experience were evident right from the start. I already feel more confident in my abilities and left her studio after hitting notes I only dreamed of before. Mike K.
Susan is amazing! She can target exactly what you need to perfect and polish your performance. My son sings in a band and takes lessons from Susan. She has taught him not only how to sing better and more artistically, but also how to market his best assets and stand out from the others. Since taking lessons from Susan, he has doubled his number of audition callbacks and tripled his band bookings. 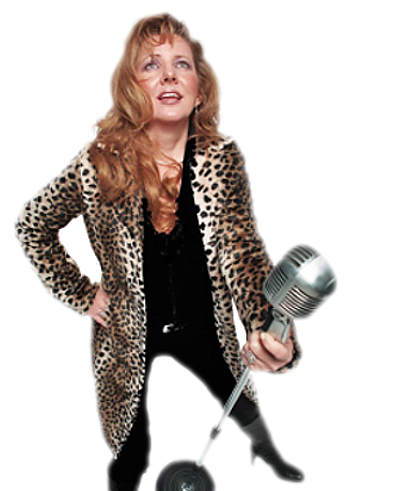 Susan is an expert in the performance industry and she understands what it takes to sing so no one can ever forget you. Contact us today for more information on transforming your voice into a musical sensation.